It's autumn; my very favorite time of year. I've been away from Tiny Aviary mainly because I am either outside soaking it up, or working on finishing this etching I started with White Wings Press some time ago. 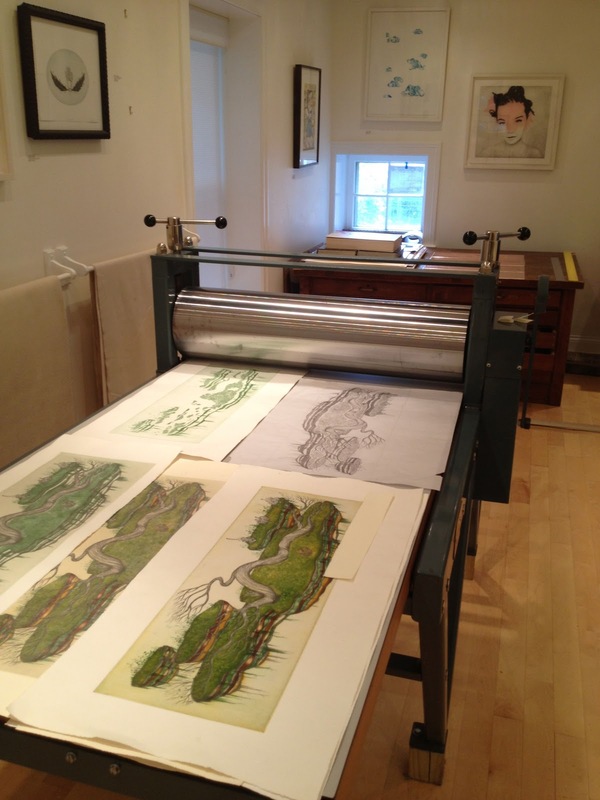 This photo is of the main intaglio press at White Wings with a bunch of proofs of my etching sitting on the press bed. The finished intaglio print will have 5 copper plates, and thus 5 colors. The color proofs you see here, have 4 of the 5 plates printed. We're currently working on finishing up the 5th plate this week. More photos as soon as we have final proofs! I am hoping to get back to Tiny Aviary later this week, but in the meantime, here is a favorite Emily Dickinson poem for you and the season. 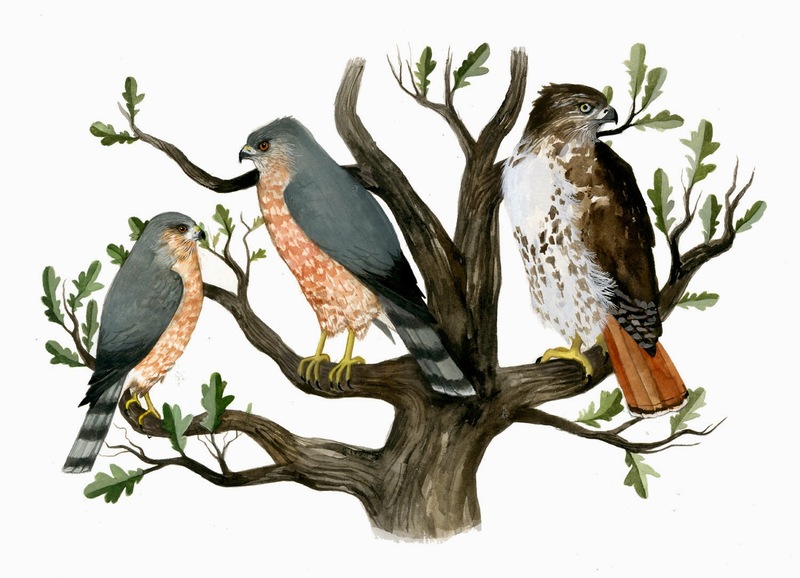 I recently came across it on one of my favorite blogs: Our Ash Grove. I love intaglio prints and this image looks like a perfect fit. Sign me up! I don't know the printing process but it seems complicated and daunting (to me). The print looks amazing. Thank you for the lovely poem. I enjoy Emily Dickinson but didn't remember this one.